The chamber has an integrated port in the side which allows for insertion of a fuming wand or can be used with a fume extraction device. 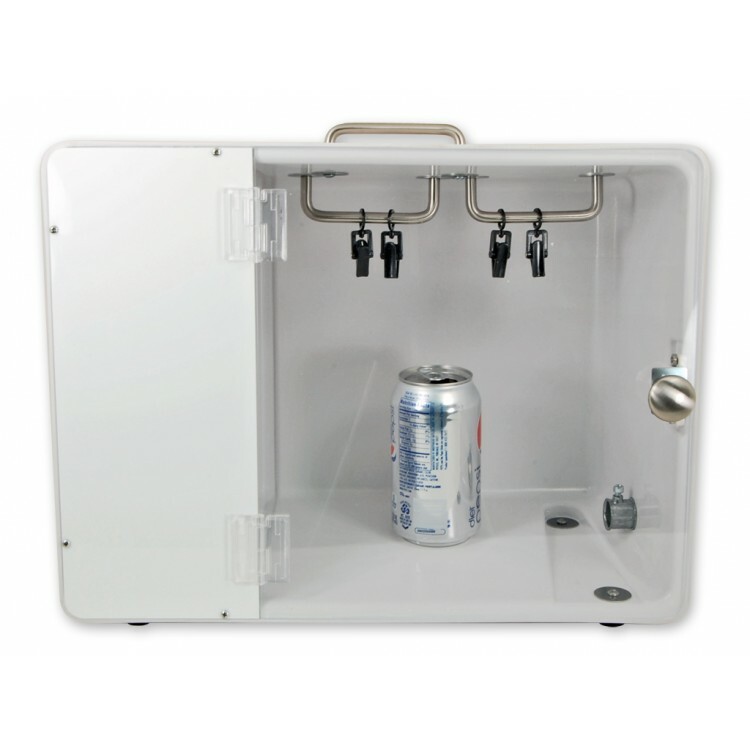 This versatile chamber can be used at the crime lab or in the field. • Includes (2) hanging bars with (4) clips for suspending evidence. • Magnetic latch simplifies chamber loading and unloading. 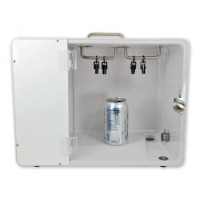 • Convenient metal carrying handle allows for easy transportation and storage at the crime scene or the lab. • Made from durable ABS plastic. • 15” W x 11” H x 8” D (38.1 x 27.9 x 20.3 cm).